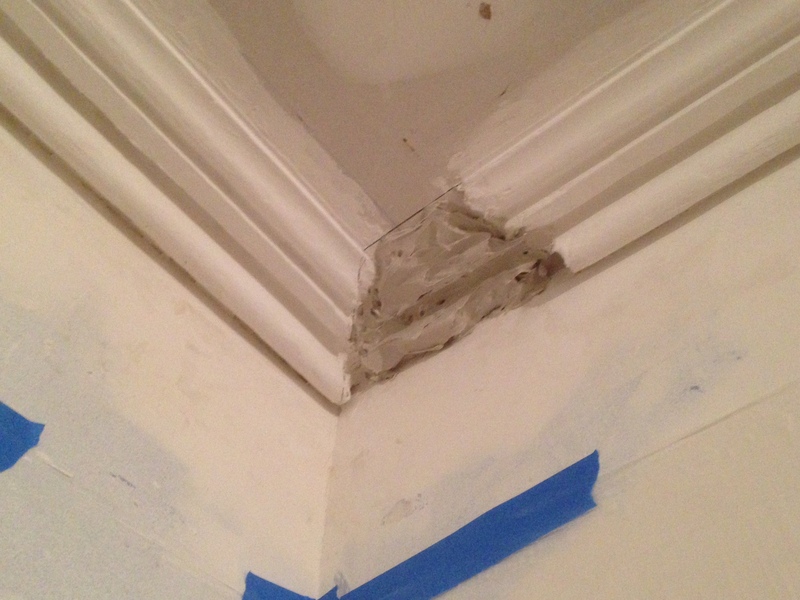 After 6 passes on our plaster crown molding, it looks good… So it was time to take down the wood guide rails. 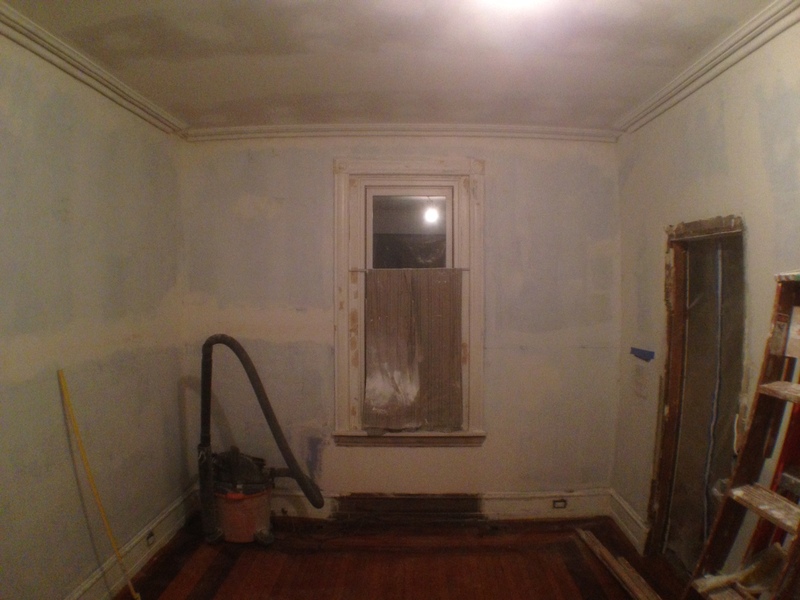 We still need to do a final sanding of the trim and patch in the corners… but the hardest part is done! i.e. 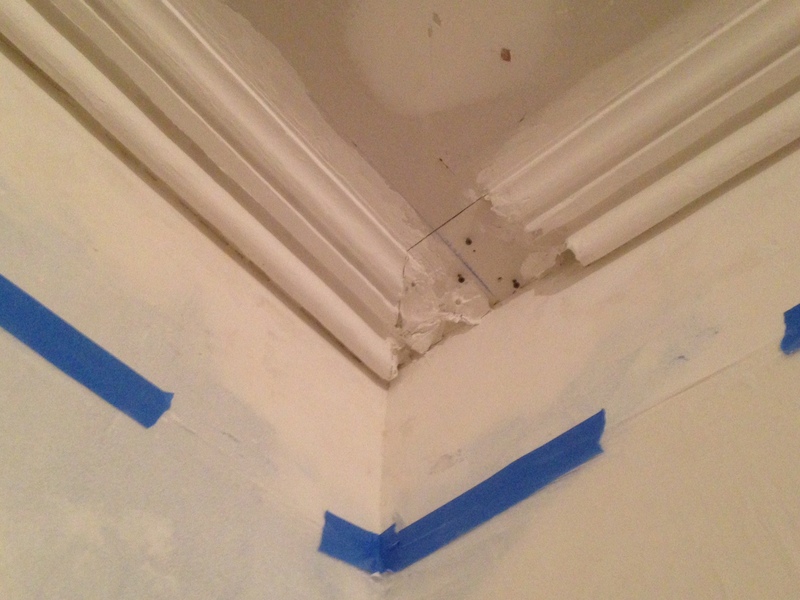 Running the long sections of trim, and of course figuring out how to do it. So now on to the corners… To prep them we drew our guide line and put a few more projecting screws in for the plaster to grab on to. 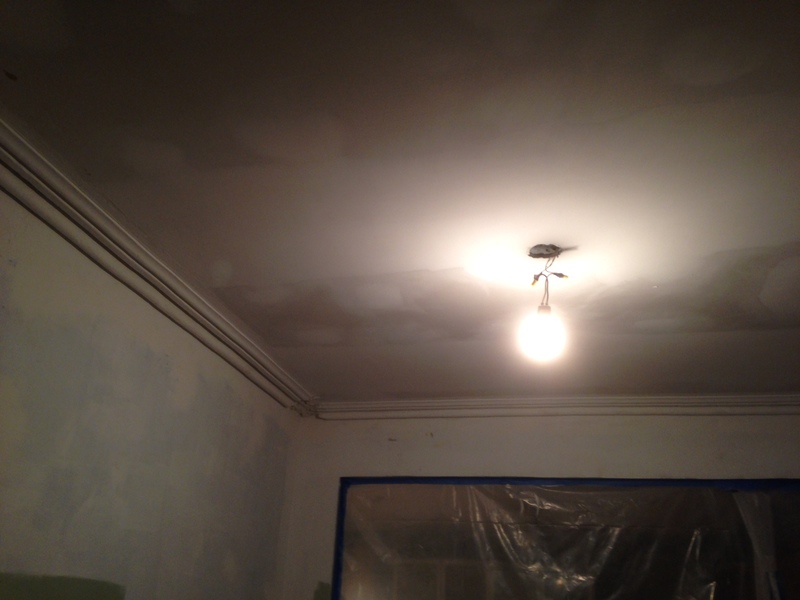 And here goes the first coat.